As regular readers will know, I've been really lucky to be involved in developing PD for the enhanced PYP which will be launched in 2019. The IBO is releasing communications about what this will look like at regular intervals - there have been newsletter-type publications and webinars designed to help schools get ready for the transition. 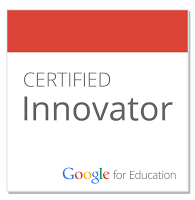 In December I wrote a blog post focused on the learner, following one of these webinars. This post, based on the most recent newsletter, is about learning and teaching. In the new PYP workshops that I'm part of designing right now for Category 1 (new teachers and leaders) we are focusing on transdisciplinarity. The six transdisciplinary themes remain, and the enhanced PYP continues to deepen the relationships between disciplinary and transdisciplinary learning. One big difference is that the teaching of science and social studies, which currently is required to take place within the programme of inquiry, will now be allowed to be taught outside of it. The emphasis remains on purposeful collaborative planning to ensure balance across the subjects and grade levels, but schools will be allowed greater flexibility to adapt the POI framework to their own contexts. Approaches to learning and concepts are relevant across the whole curriculum, serve as links between the subjects and set the foundations for lifelong learning. With approaches to learning, schools will also be given more agency to identify the sub-skills that support student learning. When combined with the learner profile, the ATL will help students learn how to learn, and so become more self-directed. 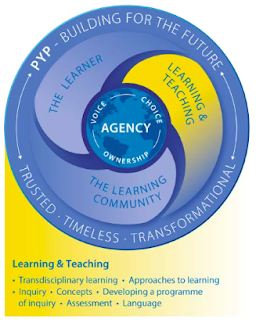 Concept based inquiry remains the pedagogical approach of the PYP, with greater emphasis on agency that encourages students to be active participants with responsibility for their own learning. A more flexible timeframe for the units will also encourage more in-depth inquiry. The next webinar about the enhanced PYP will be taking place this month and I'm excited to find out more about the transition.